In a Nutshell: Retailers use every available tool to survive in today’s competitive marketplace. However, if they don’t understand their customers, all of those tools may be worthless. 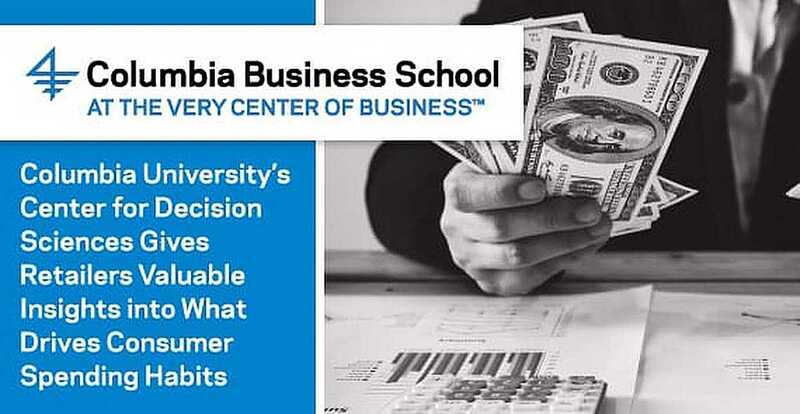 The Columbia Business School Center for Decision Sciences provides organizations with a clearer picture of consumers by unearthing insight into what drives purchasing decisions. The CDS uses a cognitive approach to the psychology that influences consumer behavior and informs decisions, which means consumers can also benefit from CDS research when it comes to understanding the value of patience over impulse shopping. Over the last two decades, surcharges and fees have driven up the costs of airline travel, mobile phone service, concert tickets, online goods, and scores of other items. But how do these tacked-on fees impact consumer behavior? The Columbia Business School Center for the Decision Sciences (CDS), along with other prestigious universities, delved into portioned pricing in a study about the widespread method used by retailers. The study determined that the practice can reduce price transparency, lead consumers to underestimate the full cost of a purchase, and potentially negatively impact attitudes toward a brand or retailer. The study also identified a six-stage consumer response to partitioned pricing that ranges from initial reaction to the perception of a company after purchase. 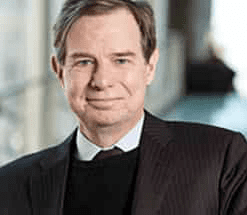 Columbia CDS Director Eric J. Johnson spoke with us about the center’s research on consumer decisions. This CDS research gives retailers valuable insight into the psychology behind consumer spending habits. The study notes that the six-stage framework is an important factor for companies to take into account as businesses develop pricing strategies. The research also shows how add-on fees, charges, and complicated, drawn-out purchasing processes can lose customers. Columbia established the CDS in 1999 to bring together researchers from multiple disciplines within the Business School. Today, the CDS conducts academic research into purchasing behavior to improve real-word decision-making for retailers, policymakers, and consumers. Should you buy a sports car or save that money for retirement? The CDS has studied that type of question and examined the factors that determine whether a consumer will make an impulse buy or exercise patience to realize greater value in the future. In the study, participants were offered a choice between receiving $44.80 immediately or waiting four weeks to get $51.50. Researchers concluded that how offers are presented play a role in whether people choose immediate gratification or exercise patience to gain more of a reward later. Half the participants considered all the information of one offer — amount of money and time of delivery — and then reviewed the second option completely. The other half compared the dollar amounts between the two offers and then compared the time of delivery. The study participants who reviewed each offer as a whole — or the complete story — instead of comparing individual components were more likely to exercise patience and choose the larger payout. Conversely, the people who compared the parts of the offers — first the amount of money and then the time of receipt — were more likely to choose the short-term reward. Another CDS study examined how product information can either inform or overwhelm consumers. Researchers focused on new automobile window stickers that provide consumers with information on the vehicle’s fuel efficiency. They took data from the stickers — such as greenhouse gas rating, miles per gallon, and gallons consumed per 100 miles — and presented it to participants in various table formats. Some received only the greenhouse gas rating or projected annual fuel costs. The study showed consumers were more likely to purchase a fuel-efficient car when presented with information on two fuel-efficiency metrics instead of just one. Consumers who identified as pro-environment were also more likely to choose the fuel-efficient car when presented with its greenhouse gas rating. Researchers described this as the signpost effect, with environmental-minded consumers disregarding the benefits of fuel efficiency until reminded they cared about them through the greenhouse gas rating. Those findings can guide what type of information appeals to conscious consumerism. Fuel savings compared to the average vehicle was another piece of information that led participants to choose a fuel-efficient car. Researchers concluded that updated window stickers would be effective at presenting multiple fields of information on fuel efficiency and guide consumer decisions. The CDS ties together economics, psychology, political science, management, and other social science fields to investigate what drives decisions. But the work is not limited to consumers. The CDS studies the psychology behind decisions in areas as diverse as public policy, moral and ethical dilemmas, and risk-taking among adolescents. The goal of Columbia University’s CDS is to produce quality research that better informs real-world decision-makers. And the center takes a cognitive approach to consumer behavior, studying how we process information. Eric and a team of researchers investigate how the presentation of information to consumers can affect their decision to purchase a service or product. Along with data analytics, this type of research into the psyche of consumers can be a valuable tool to guide retailers’ advertising, marketing, and operational decisions. Likewise, consumers can inform their purchasing decisions with research that shows the benefits of patience and receiving greater value in the long-term over opting for short-term gratification.